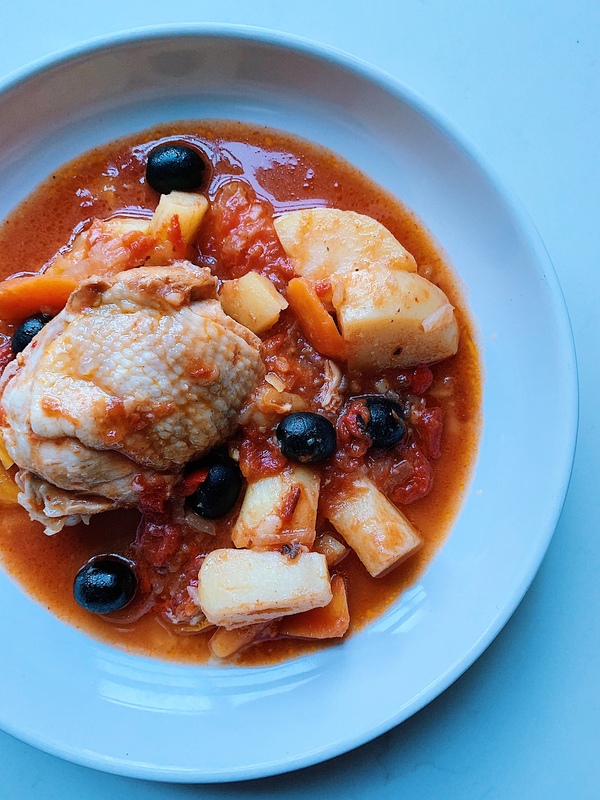 Today I cooked a delicious chicken stew and the recipe couldn’t be more simple. 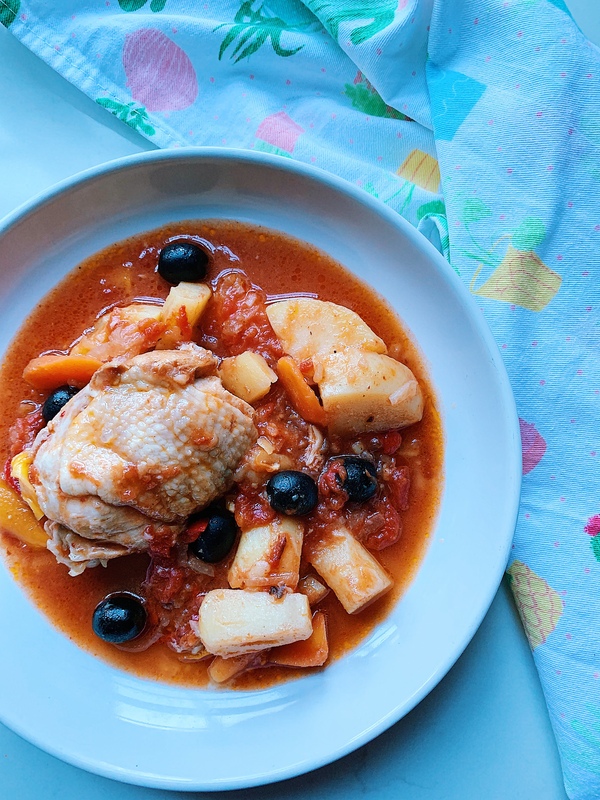 My dad used to make this recipe and believe me, it is one of the best chicken recipes ever! 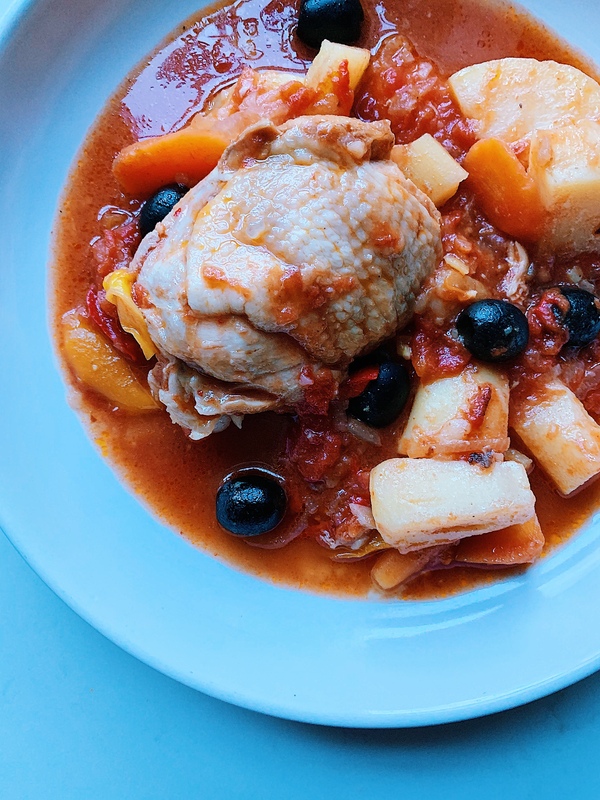 The chicken thighs get cooked in their own juices and that make them delicious and very tender. I usually buy thighs with skin and bone, because once they are cooked they get very tender, but I do not eat the skin, so you can do the same. Remember to let me know if you like the recipe in the comments. Heat the oil in a casserole dish (dutch oven) to medium heat and add and fry the chicken skin down until brown. Add salt and pepper, lower the heat, add the cup of water and put the lid on to let the chicken to cook in it’s on juices. Turn them around after 10 min. Let the thighs cook for further 10 min in the other side and add the the onion and the garlic. Cook them for 5 min with the chicken. Then add tin of tomatoes and continue simmering the chicken for further 10 min. After add the rest of the ingredients and cook for 10 min or until the carrots & potatoes are soft. Enjoy with refried beans and warm corn tortillas.